A landlord’s profit is directly related to his treatment of tenants. This comprehensive, practical guide teaches you how to find and keep quality tenants. 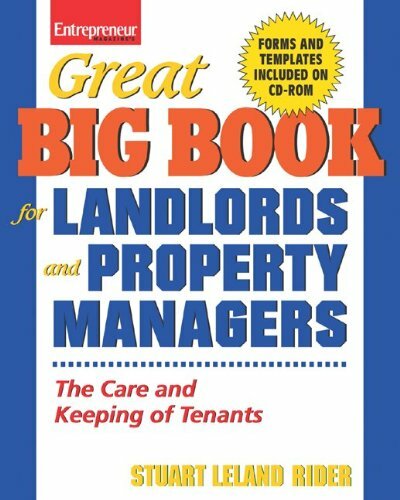 Great Big Book for Landlords and Property Managers offers tips for managing relations with tenants and provides valuable management tools that you can customize for your own use. It discusses both residential and commercial tenants; although most books deal with residential properties, most investment-grade properties are commercial. It shows real estate investors with an entrepreneurial mindset how to achieve success as a landlord. If you have any questions about this product by Brand: Entrepreneur Press, contact us by completing and submitting the form below. If you are looking for a specif part number, please include it with your message.